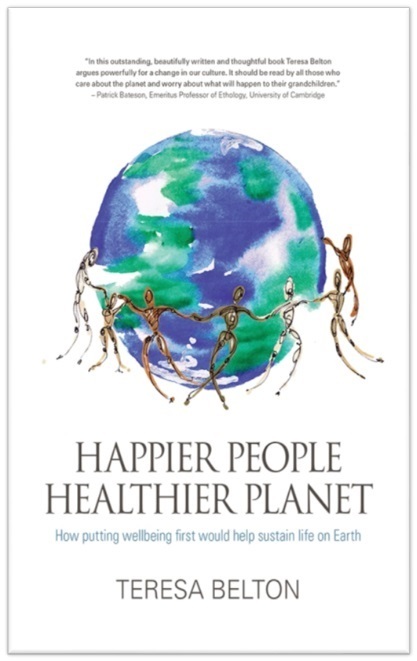 Happier People Healthier Planet: How putting wellbeing first would help sustain life on Earth addresses the diametrically opposed issues of personal wellbeing and ecological destruction, understanding them as inseparable concerns. It argues that carefully attending to what really matters for personal thriving will also protect the environment. Most human beings are strongly attracted to material possessions, novelty and ever greater comfort and convenience. Paradoxically, though, for those with a decent basic standard of living, growing affluence has not resulted in increased subjective wellbeing: consuming more does not make us happier. Worse, our unchecked appetites for ‘stuff’ are fast undermining the delicately balanced life-support system provided by the natural world. It is, however, quite possible to live a rewarding life without over-consuming, and it is urgent that we all find out how to do so if we are to preserve the hospitality of the Earth. argues that the route both away from the eco-abyss and towards happier individuals and societies is cultural transformation based on a deep understanding of the foundations of true wellbeing. Informed and illustrated by insights from a wealth of sources, both academic and popular, it includes the stories and insights of many individuals living in Britain who actively pursue all manner of fulfilling lives of relatively low consumption. These modest consumers offer challenge, inspiration and reassurance in the search for better ways of living.